Fully integrated volumetric feeding system for precise material discharge. Feeder designed to feed fine 37 PCF powder at up to 32 cu.ft./hour. 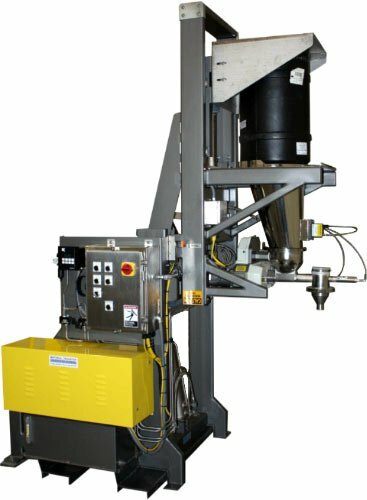 Feeder hopper includes a motorized spherical agitator for even feeding. Electro-polished 316 stainless steel pour cone with continuous welds. Fork lift portable base design. Rigid hydraulic lines and fittings constructed from 316 stainless steel. NEMA 4X control panel with 110VAC control voltage. Premium quality Parker 5 GPM pumping unit with 5 HP paint free TEFC wash down duty motor.